Our clinic provides 24 hour ambulatory care for equine emergencies. 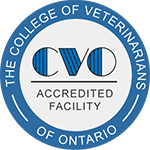 To complement our emergency services, our clinic is equipped with an in house laboratory with 24 hour availability, clinic stalls reserved for emergency care and 24 hour care provided by a veterinarian and/or clinical staff. We also offer a fully padded surgical stall (non-inhalant) for the comfort of those recovering for surgery or suffering from acute injuries.